We’ve another opportunity for you to join the Nutkhut team! If you’re a freelance juggler who would love to work on a new show? Then we’d love to hear from you! We’re putting a mischievous twist on a new Juggling Show for 2019! This will be a paid freelance role on a daily rate, agreed dependent upon experience and will be touring events and festivals across the UK throughout 2019. This spring we start a residency programme in Luton. 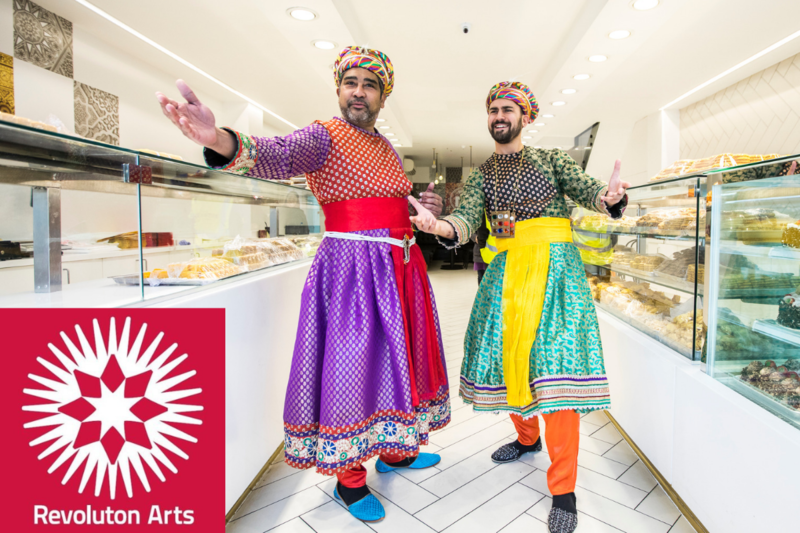 Following our successful immersive theatre show “The Emperors lost Gems” in 2017 – where we took over the High Street and introduced an inter generational audience to the Mughal court of Emperor Akbar, NUTKHUT returns to Bury Park in Luton. During the year long residency we will begin by listening to and absorbing, the stories, the history and the hopes of the people who make this corner of Luton unique. This inter generational project will culminate into a public performance. 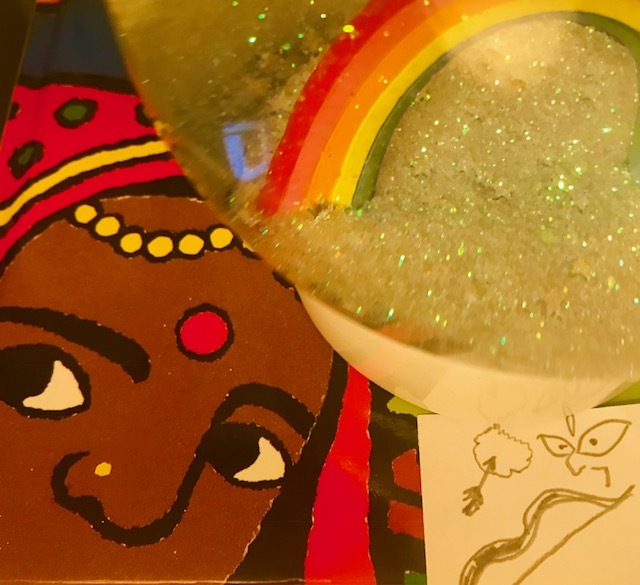 We’ve teamed up with Tyne and Wear Archives & Museums (TWAM) and Newcastle Mela and started to document and preserve the development of this major cultural festival in the North East. Through verbatim theatre, interviews, digital and virtual capture, we are helping tell the stories of the many volunteers, artists and audiences that have been instrumental in shaping the Newcastle Mela over the past 25 years. ‘Make Visible’ is a strand of Nutkhut’s work which encourages the archiving of performance from diverse communities, with partner institutions. The key objective is to ensure the ‘narrative’ is preserved, accessible and to make the material available as a learning resource to people from all backgrounds. and when darkness turns to light. This Autumn, Nutkhut embarks on a unique and ambitious re-telling of the story of Diwali, making it accessible to a wider audience, yet retaining, at its heart a story of families and friends from this epic tale. The Nutkhut team grew up with Diwali, we’ve read the epic front to back, back to front and upside down – as kids we’d boo and hiss at the baddies, at school we’d be singled out to share the story during whole school assemblies and as adults we are on a mission to make the story accessible to a wider audience. How are we doing it? With over 700 participants, 16 young South Asian artists, 25 elders, 8 oversized umbrellas, 2 thrones and a light sabre! An intergenerational, multi art form spectacle! We are making lanterns, diyas and rangoli. Sourcing and creating costume, cutting and merging live and recorded music, making props and editing film and projections. Phew! What have we been doing? Over the past few months, we’ve spent weekends and evenings supporting, mentoring and rehearsing with over 75 young people from North Kent and Bexley, both areas of low arts engagement and disadvantaged communities. Our approach with this project has been to involve everyone – we don’t do things in halves – it’s the participants that have created the story – that have made choices and have engaged in the entirety of the key decisions. We are turning the making of theatre on its head, breaking down the hierarchies and involving and encouraging new artists, new ideas, families and young people, integrating dance, lanterns, music, projections and video mapping. We’ve brought together a small team of professionals to take the lead, who’ve been on similar Diwali journeys and very rarely get these types of opportunities, to support the process, mentor and train the participants and to ultimately develop a new generation of dedicated Diwali Makers from culturally diverse backgrounds. Cost? FREE – access, access, access is our mantra – where we can, our projects are free to	public. For more information or if you’d like to get involved please contact us via email, phone or drop in.